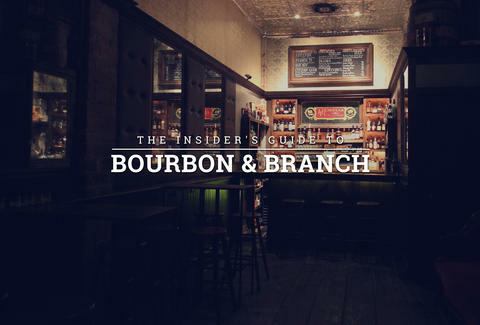 You've been to Bourbon & Branch, but you haven't been to Bourbon & Branch. 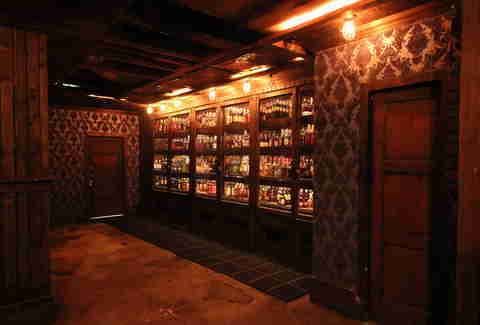 That's because the godfather of modern American speakeasies actually has FIVE different hidden bars inside, at least one of which you've definitely never been in (because it's an actual speakeasy in the basement). 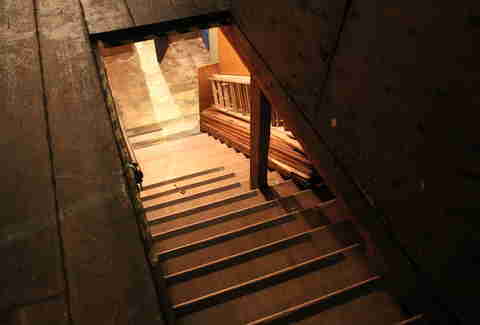 Luckily, they opened every door -- and even a trap door -- to us this week, so that we can finally show you what's what. How to get in: Make sure it's a Wednesday, Thursday, Friday, or Saturday, and find the unmarked door on O'Farrell. Know the password. 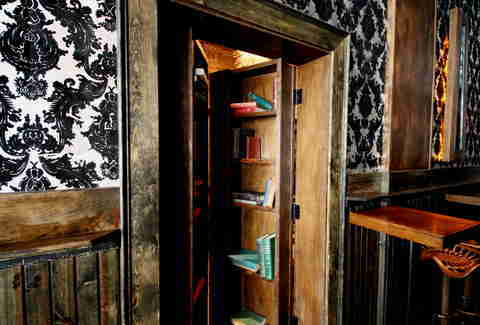 The easiest of the speakeasy's bars to access, this standing-room-only library bar is open to all who know the password (*cough*cough*books*cough*the password is books*cough*). 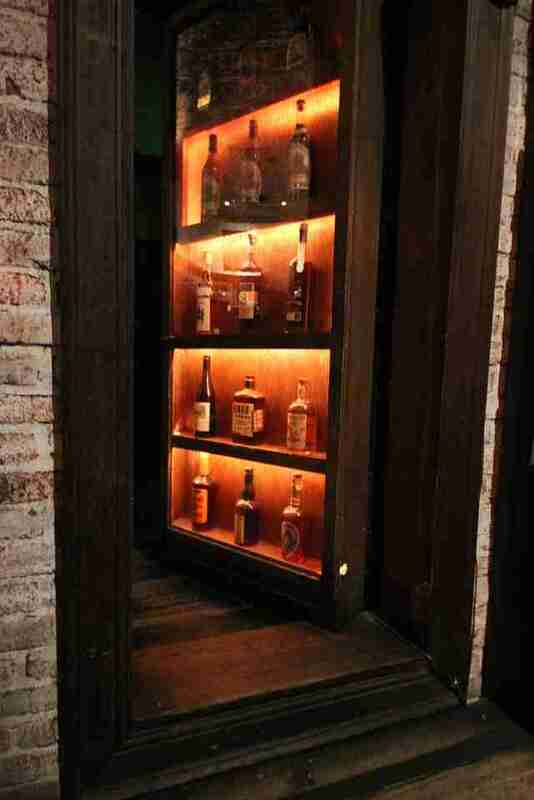 There are actually two entrances to The Library: one on O'Farrell, and one through THIS SECRET BOOKCASE DOOR that appropriately separates Bourbon & Branch's Main Bar and The Library, and is only openable from the former. How to get in: Reserve a table, buzz the door on Jones, and provide your password. How to get in starting in two weeks: Don't reserve a table, buzz the door on Jones, and ask the hostess to put you on the wait list (they'll text you if a spot opens up). 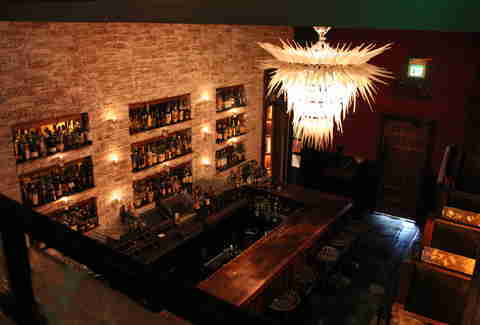 The Main Bar actually has two separate areas -- there's this slightly more intimate setting in the back with booths for four-six people, and a side staircase that leads to a private mezzanine. 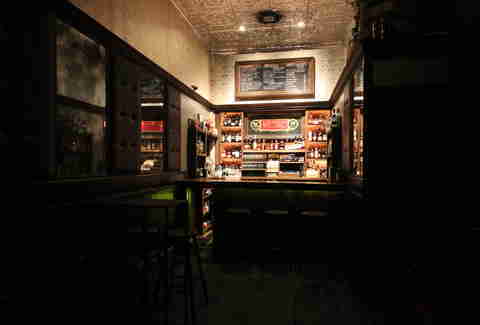 And then there's the Main Bar's, uh, bar. 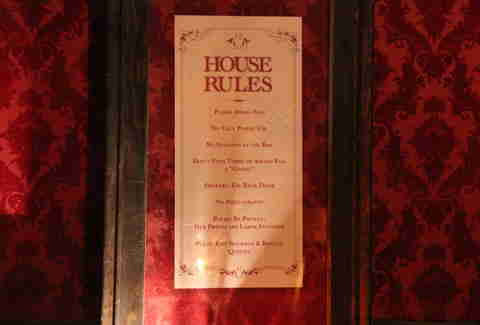 In between them, you'll find the list of the House Rules, which includes "no cellphones" (and consequently, no Tinder, #selfies, or pretending to be texting someone when, in reality, you're just sitting alone and don't want to look awkward). 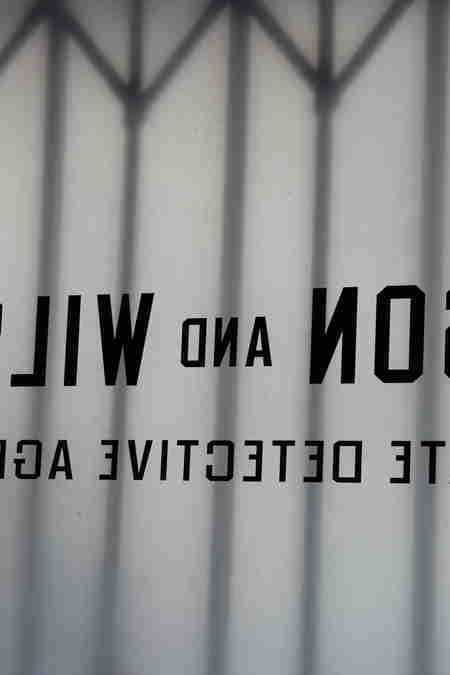 How to get in: Make a reservation, buzzer it up on Jones, and give them your Wilson-specific password. 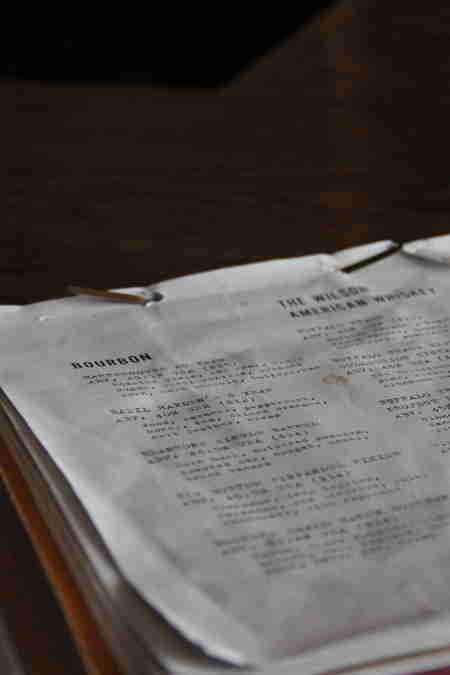 Set in the fictional Wilson & Wilson Detective Agency, this is the extremely secret, extremely awesome bar that you'll totally be tempted to Instagram, but won't because, remember, house rules. What's this? 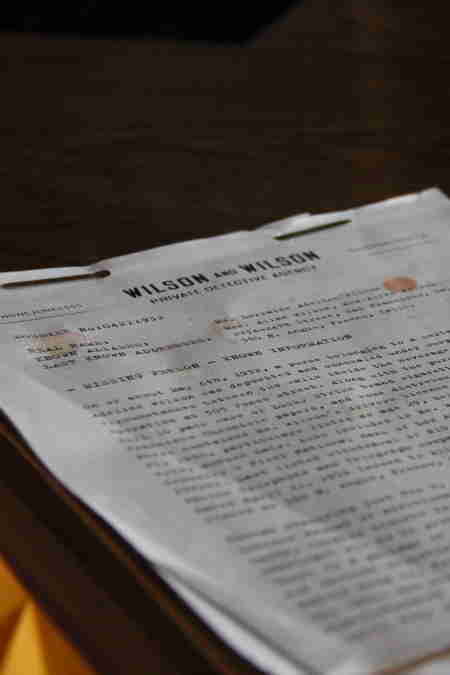 Is this a detective dossier? Nope! 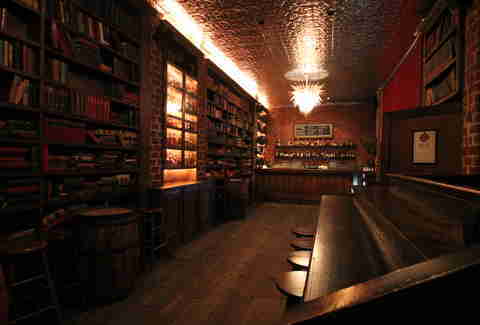 it's a totally different cocktail menu, which includes three-course drinking prix fixe menus and punches served in teapots. 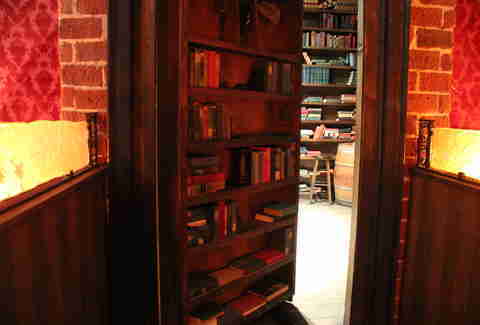 You can find the next room through this not-actually-a-bookshelf bookshelf. How to get in: Book the room for a large event, or be lucky and come here on a Friday or Saturday when they sometimes use Russell's as a Library overflow. 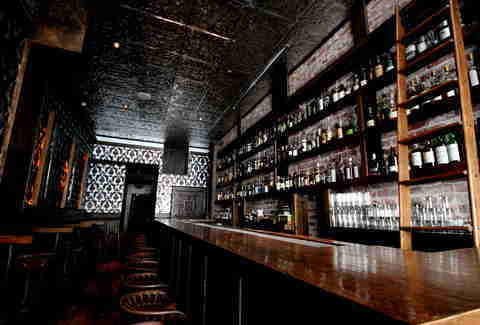 Named after the notorious cigar shop that operated as a front for the speakeasy during the Prohibition, you luckily will not need to order a code cigar in order to get a drink here. They specialize in those on the menu above the bar, but can make the full B&B menu here. 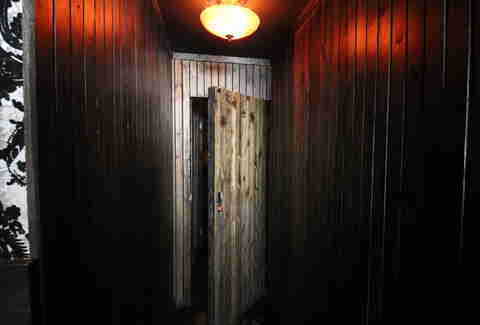 If you're most people, your journey would end through this door (which tragically appears to have permanently sealed-in booze) that leads back to The Main Bar. How to get in: Book a large event and pray that they like you enough to let you have it down here. 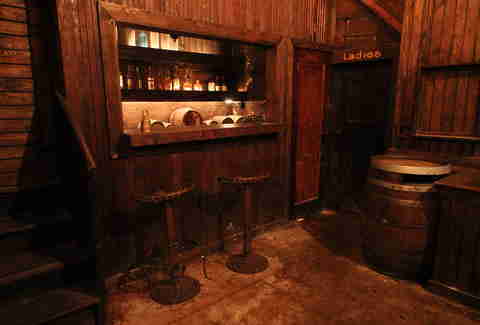 Housed in the basement of the building, The Ipswitch is the super-secret, little-known part of B&B that shares the name of the actual speakeasy that operated here during the Prohibition. 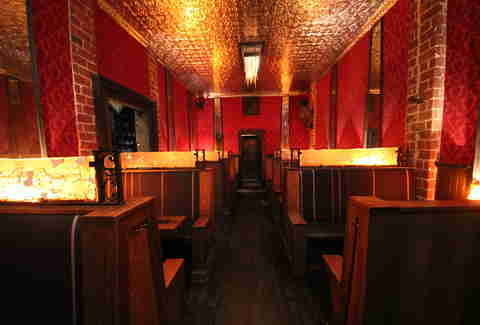 You can actually drink in the same space the speakeasy existed from the late 1920s-1933. If that's not the coolest secret thing you've ever heard of, we don't even KNOW you anymore. Joe Starkey is Thrillist's San Francisco Editor and can't believe he got special dispensation to break the House Rule about no photography. Check out all the #selfies he took on Twitter.